Starring Jean Gabin (The Grand Illusion and many more) and Michel Simon (The Two of Us, Boudu Saved from Drowning) Port of Shadows shows people who life has roughed up trying to find love and knowing it’s as illusive as the fog. Gabin has ditched his duties as a soldier in Indochina and is on the run. He’s sou-less, friendless, and jaded when he hops a ride from a truck driver who suggests he go to a hole in the wall bar on the harbor shore. It’s a drab place run by a bartender who hasn’t totally given up on life the way most of the characters have. Here Gabin meets a beautiful girl, who’s trying to escape her gangster boyfriend. 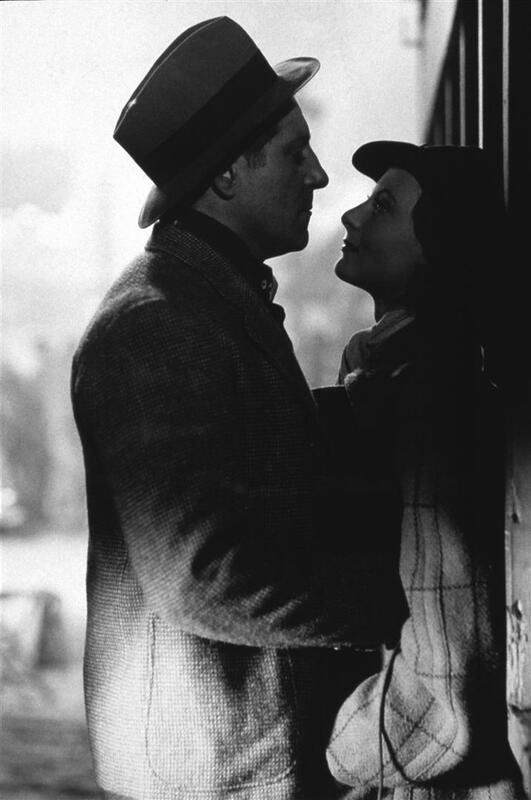 Both Gabin and her somewhat creepy guardian Simon try to protect her from the mobsters who’re looking for Maurice, her old love. Port of Shadows is about broken, bruised people who hope things will get somewhat better, but strongly doubt it. The plot has a few twists and the characters emit a film noir, quasi-Bogart vibe with an understated French flair, but the film is mainly about mood, a melancholy mood. This entry was posted in New Year's Resolution Old Movie Challenge and tagged 1930s, film, French, Jean Rabin, melancholy, Michel Simon, noir by smkelly8. Bookmark the permalink.